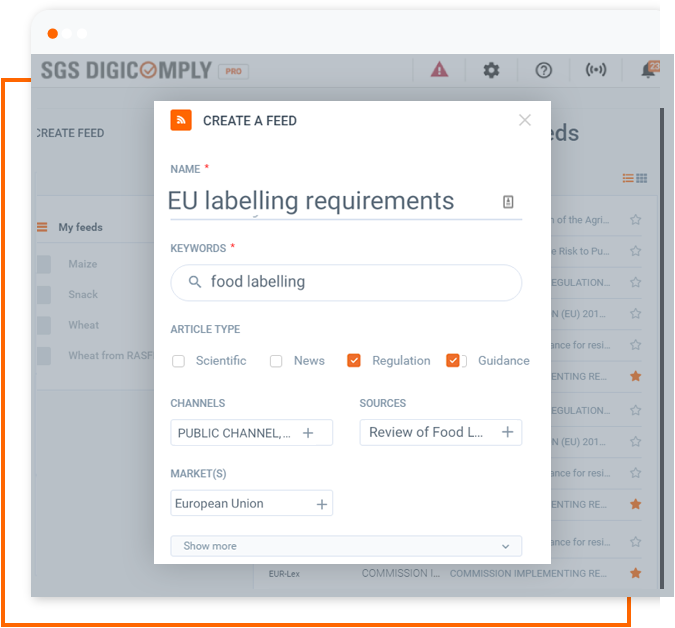 to provide the food safety monitoring, compliance and traceability information that is relevant to your business. Save interesting articles into your very own channels and setup newsletters for your organization so that everyone receives all relevant information from a single source. 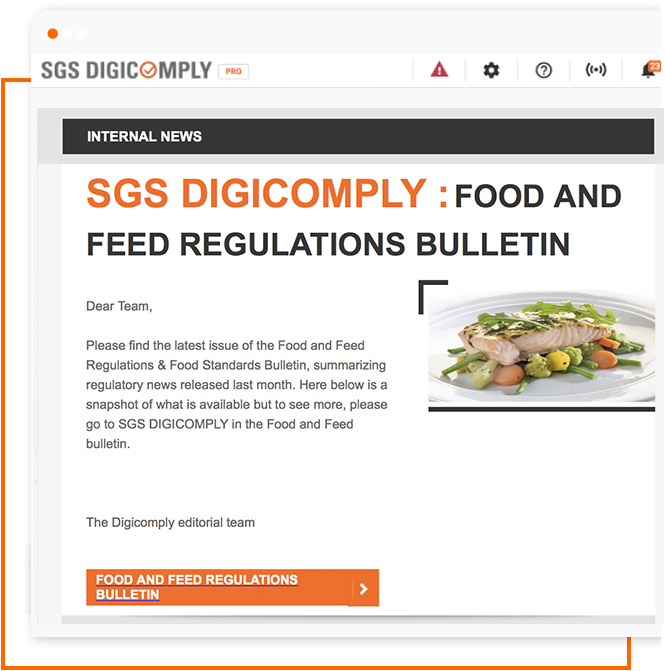 Instant access to regulatory updates and news for the food industry. Personalized newsfeeds – choose your topics, markets and even languages. 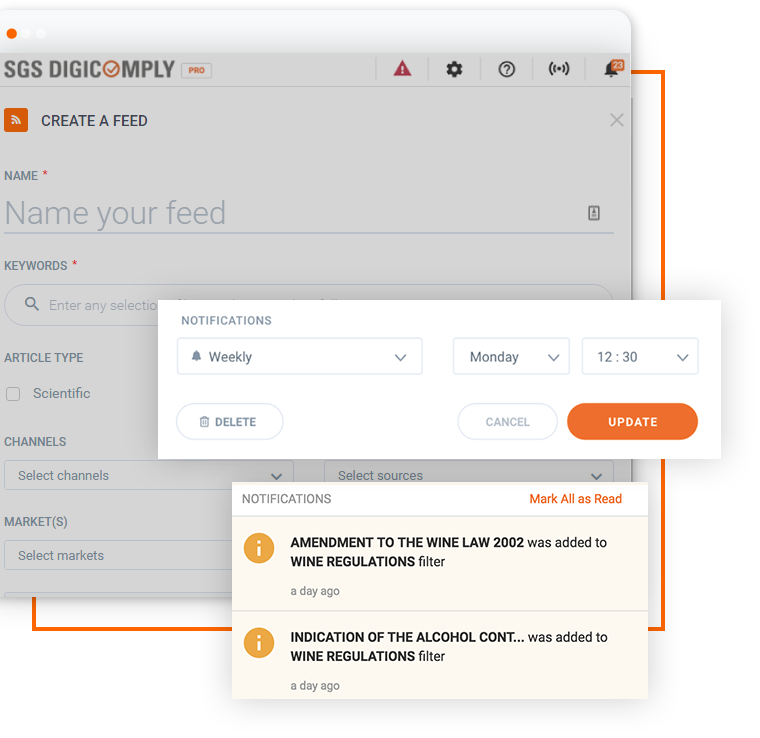 Get Instant alerts for contents that really matters. Share content with colleagues seamlessly.